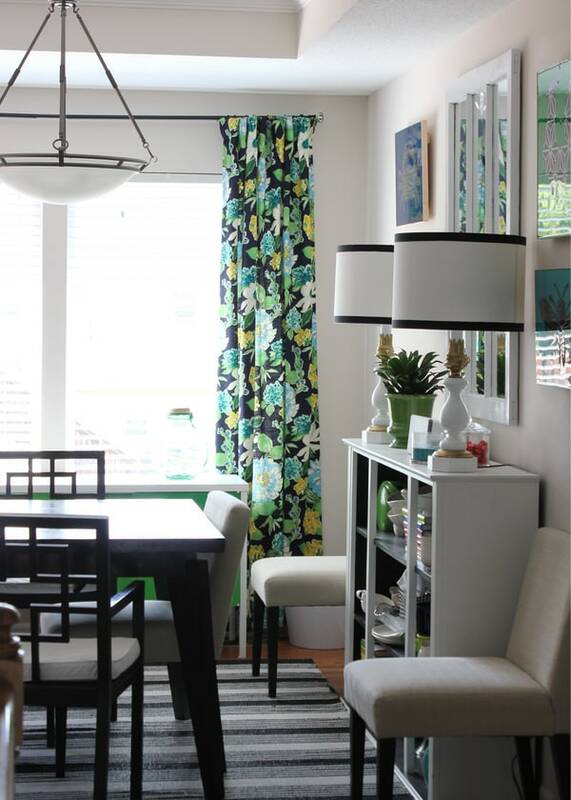 This week we’ve been talking all about curtains! 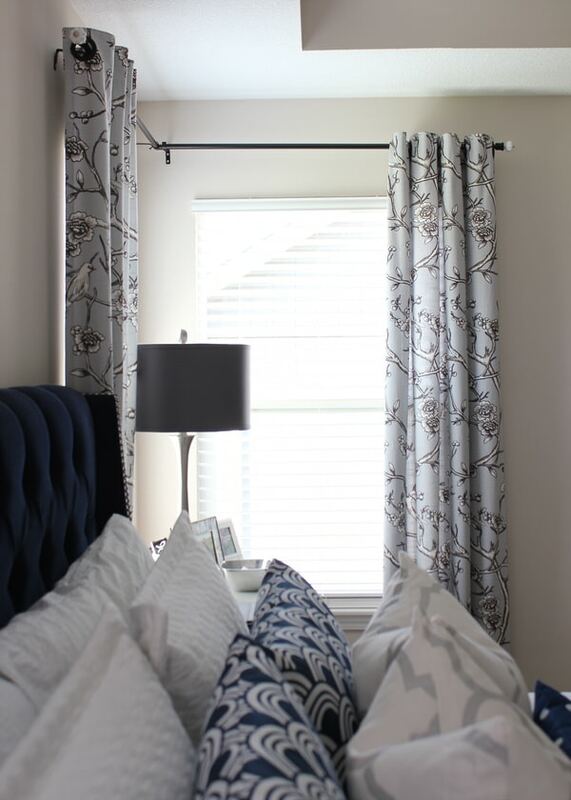 After making the case for why you should hang curtains and sharing 8 great tips and hacks for easily hanging them, today I’m popping in today with a really quick (like 8 minutes quick!) 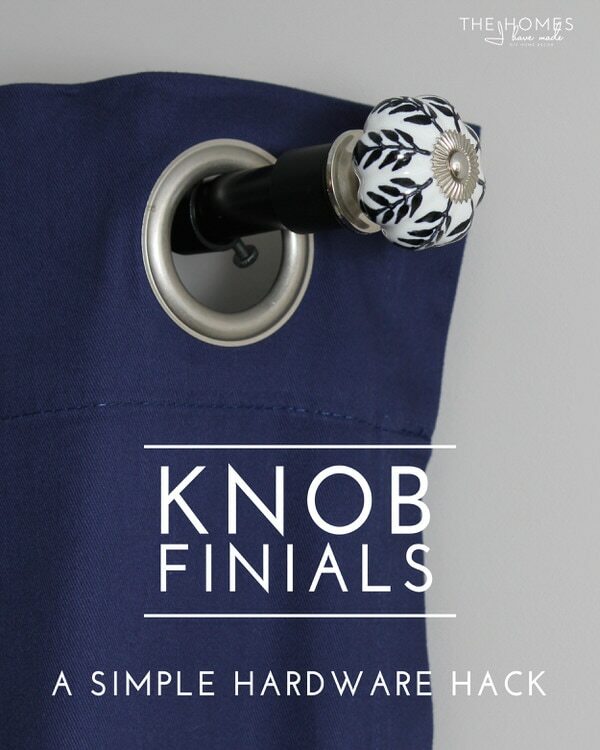 and super fun finial “hack”! I mentioned on Wednesday that years ago we bought a ton of basic IKEA curtain rods. The finials that came with those rods (back then), were a bit ornate for my taste and I never really liked them (you can see them a few pictures down). 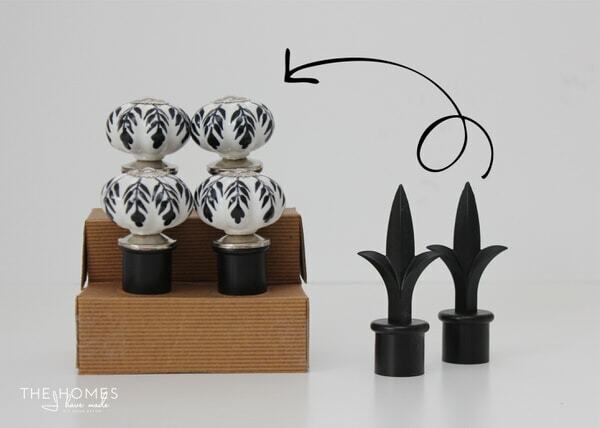 Now IKEA carries a ton of fun finial options, but I came up with a simple, affordable and really fun fix to the boring finials we already had! You probably didn’t even notice them in my pics earlier this week, but to me they are a fun, personal and handmade detail that simply makes me smile! 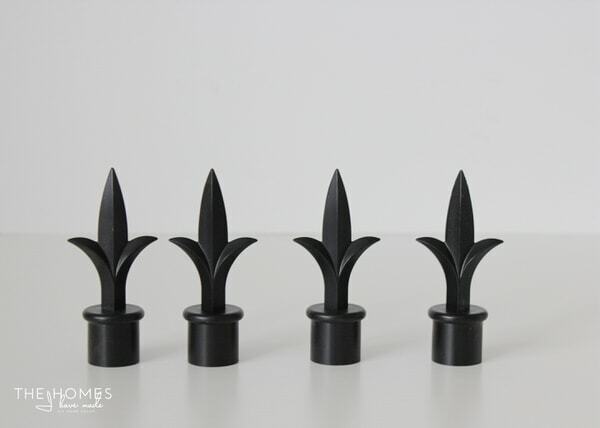 These are the finials that came with the IKEA rods…we seemingly have dozens of them. 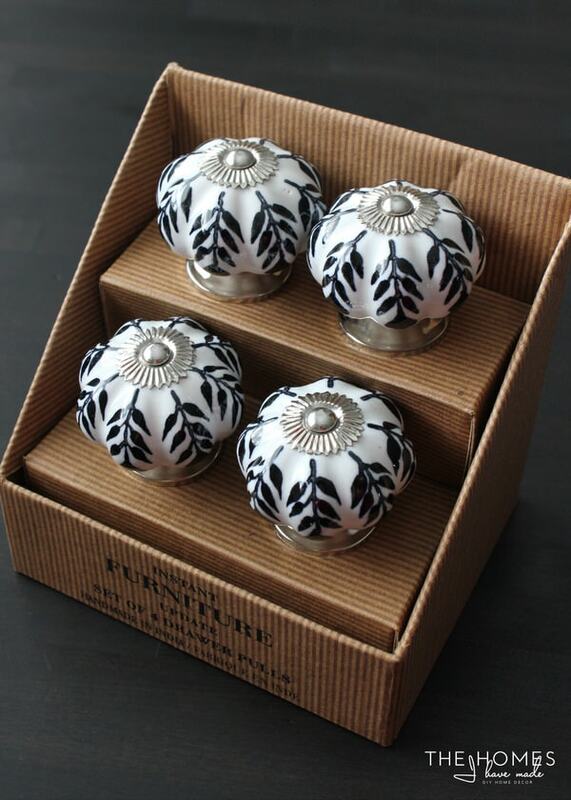 I grabbed the pack of knobs from HomeGoods on a total lark that I just might be able to turn them into finials. When I turned the IKEA finials over and discovered a hole on the inside just the right size, the project became much quicker and easier than I anticipated! 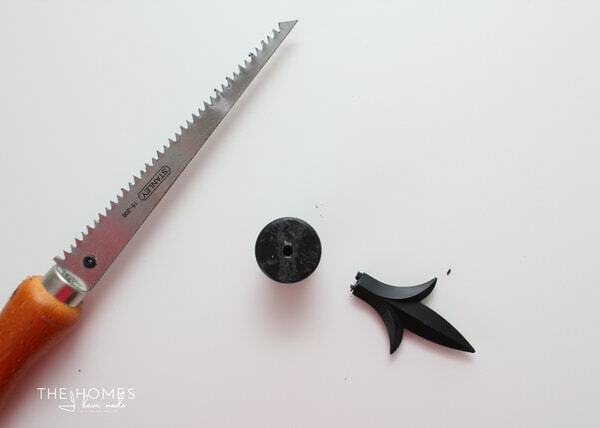 I started by sawing off the top part of the finial to create a flat surface. Next, I un-screwed the nut and washer that came on the hardware. 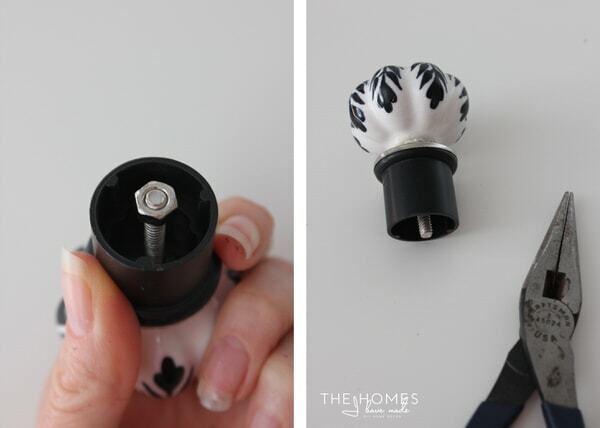 Lastly, I simply slid the knob’s screw into the top of the finial and tightened it down with a nut using a needle nose pliers (I discarded the washer because I didn’t really need it). 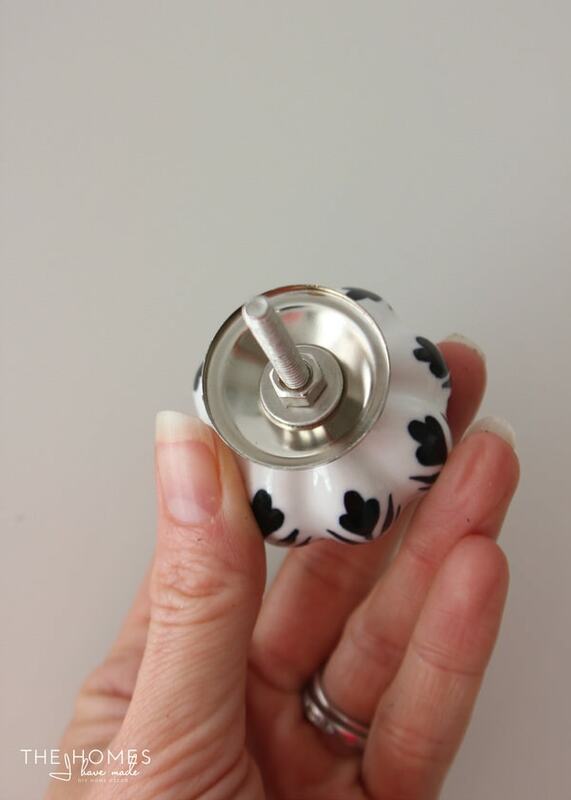 The knob fit perfectly on top of the finial; and literally within minutes, I had much more pretty and modern finials for our curtain rods! Most times, projects turn out to be much more complicated than I expect. This one, however, was so quick and simple I could hardly believe it! 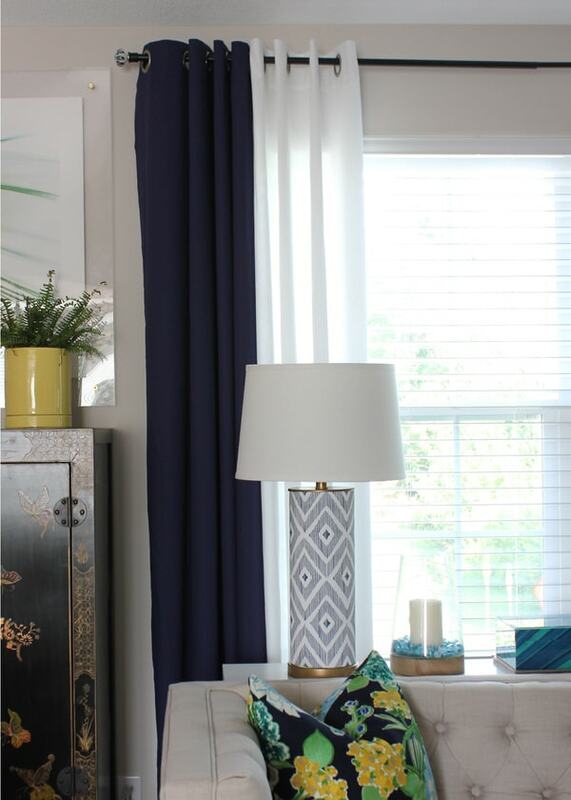 Finials are not something a lot of people notice, but little details like these around our home make it feel more specialized, unique and personal! 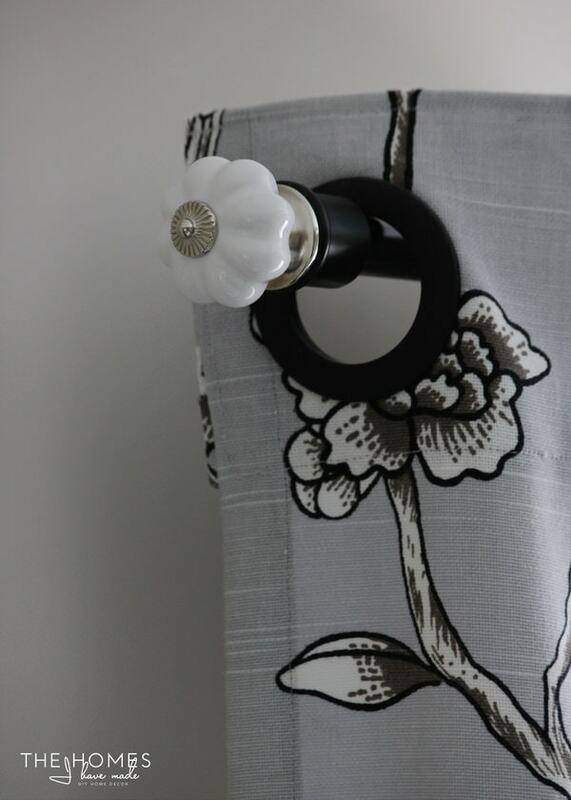 I was so hooked on the concept that I repeated the process using two more (smaller) knobs from the Home Depot for our master bedroom curtains! 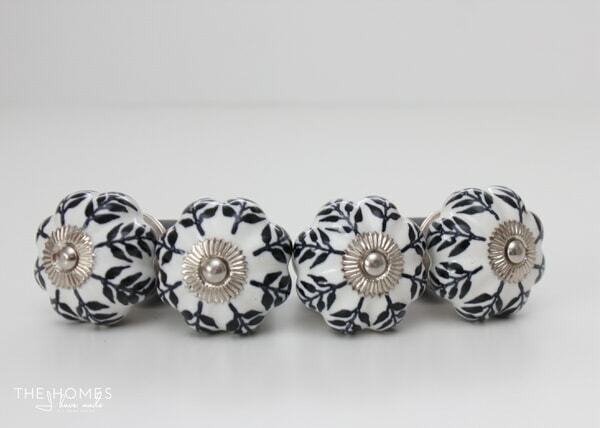 While larger knobs make for a stronger visual, these worked just as well and I love the sleek white detail on the end of the dark rods. 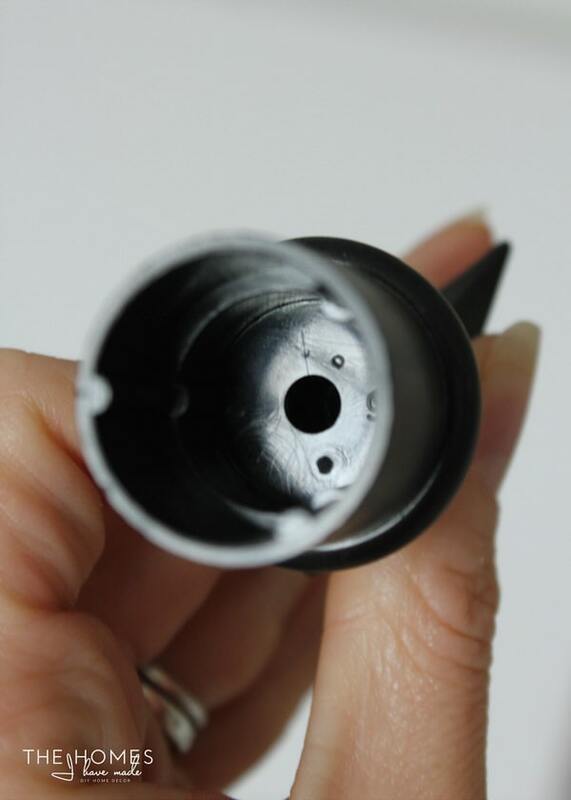 Speaking of handy hardware hacks, I have one more I’ve been promising to show you: how to turn to basic curtain rods into a corner rod! 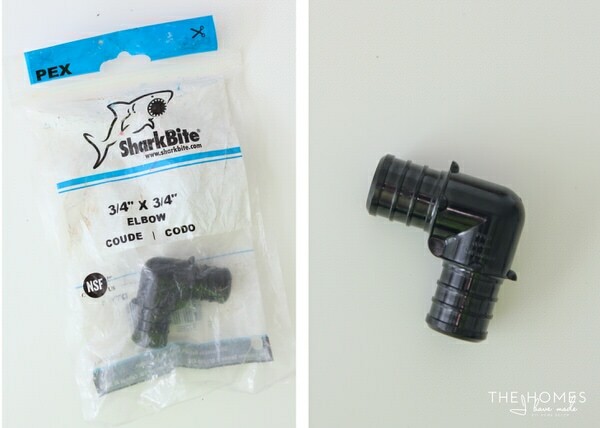 While I could have grabbed a corner curtain rod piece for $5-8 from Target or Bed Bath & Beyond, this little black plastic elbow from the plumbing section at Home Depot was only $0.99! 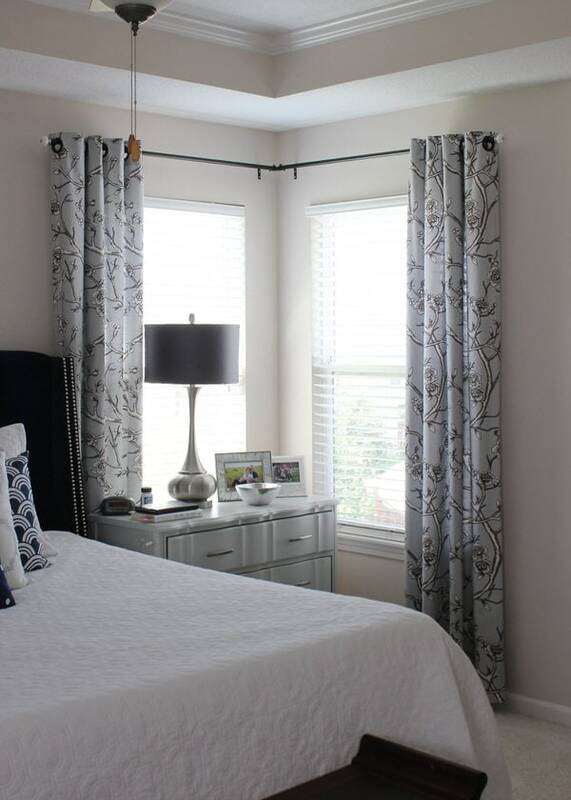 I started by hanging two single rods at the same height on each window, ensuring there was enough room between the brackets and the wall to create an actual L. Then, I just slid the corner piece into the ends of each rod! It fit nice and snug, so no extra adhesive or peices were necessary! 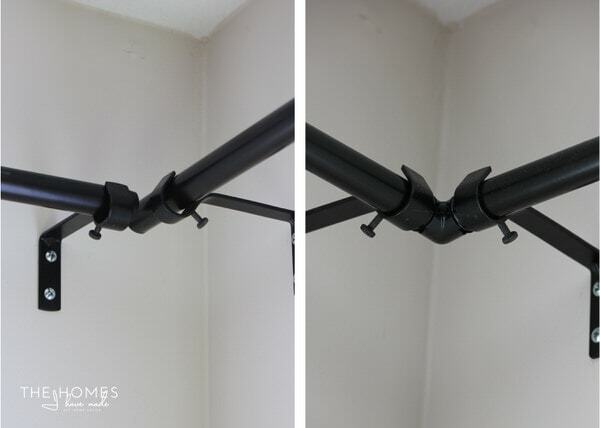 A simple $1 fix to make basic curtain rods into a corner rod – love it! 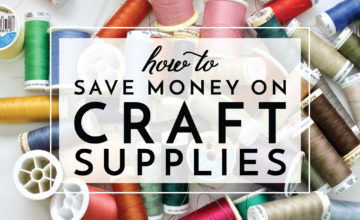 I realize not every curtain rod or finial will be the same dimensions as what I’ve got here, and therefore adding knobs to your curtain rods may not be quite as simple…but the point in showing you projects like these is not only to give you a step-by-step tutorial, but also to urge you to think about how you can use, update and/or customize items you already have to work a little better or be a little more reflective of your personal styles and tastes! And with that, I’m wrapping up all the curtain chat for a while. 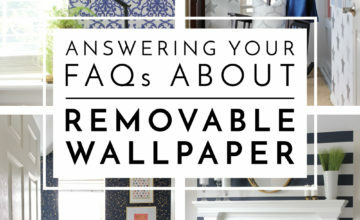 I’ve got a few more windows to figure out in the coming weeks, but we’re going to take a break and look at some other corners of our home that have been updated since you saw them last! Have a great weekend and I’ll see you back here on Monday! Hi, are the rods you added the plumbing piece to the Racka Rods from ikea? Thanks. Trying to do the same trick. Honestly, I’m not sure. They look right based on the pictures, but we bought them about 8 years ago, so I don’t remember. I just remember them being super cheap, lol! I would suggest buying one and trying it before investing in a bunch! Sorry I can’t be of more help – good luck!